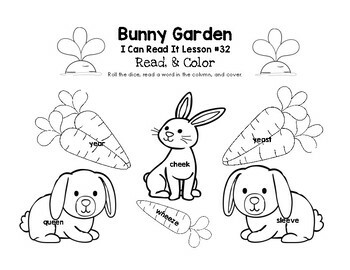 This is bunny garden themed set of roll, read, and cover worksheets to accompany lesson 32 (Vowel Digraphs ea & ee) in the I Can Read Word List Book. 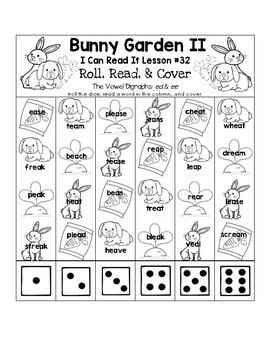 Students roll a dice, read a word from that column, cover with an object (or color/paint), and continue until one column is completely covered/colored in. 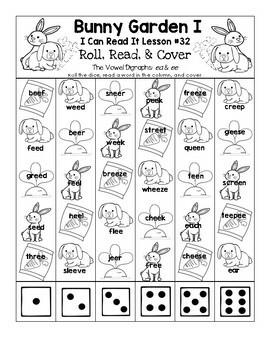 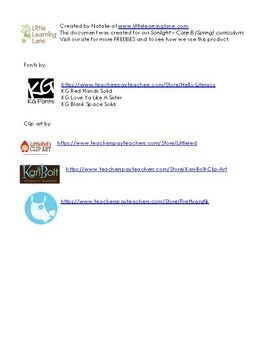 There's a second Roll, Read, and Cover worksheet as well as a Read and Color worksheet for the remaining words from this week's lesson.